In recent years, classic barbershops — predicated upon skill, technique and relaxation — have made an unprecedented comeback. The phenomenon is particularly noticeable in Hong Kong: a city with a prolific tradition in specialised men’s barbershops since the 1950s. Since then, the region’s cosmopolitan culture, twinned with its proximity to mainland China, has ensured that distinctive grooming sub-cultures abound and thrive. 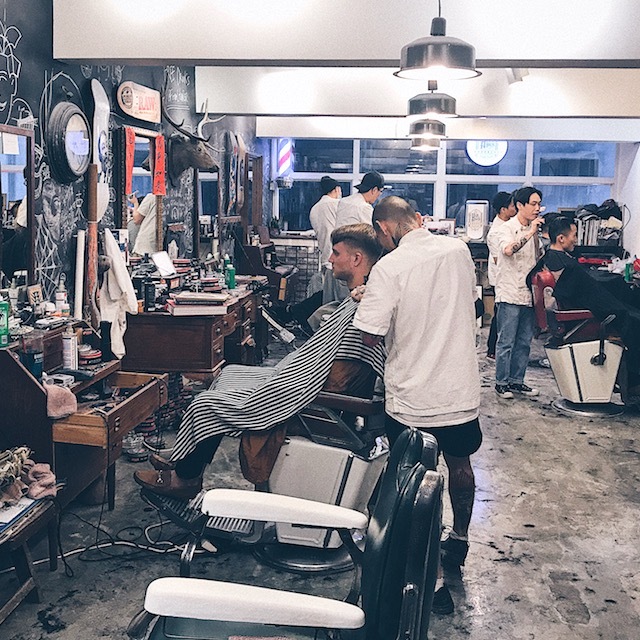 Nowadays, barbers of the new school — influenced by everything from hiphop to Peaky Blinders — co-exist alongside venerable Shanghainese masters; so whether you’re a busy professional or a barbershop aficionado, it’s never been easier to find the ideal chop shop for your style. Here are five of our favourites. If you’re in the market for an unabashedly old school experience, The Mandarin Barber is Hong Kong’s barbering destination par excellence. A vision of gleaming marble and zitan rosewood, this respected establishment — located in the acclaimed hotel of the same name — has been a Hong Kong fixture since 1963. Consistent with the Mandarin Oriental’s reputation, service here is attentive and uncompromising: guests are encouraged to arrive early and enjoy a selection of fresh beverages from the comfort of a handsomely appointed waiting room. 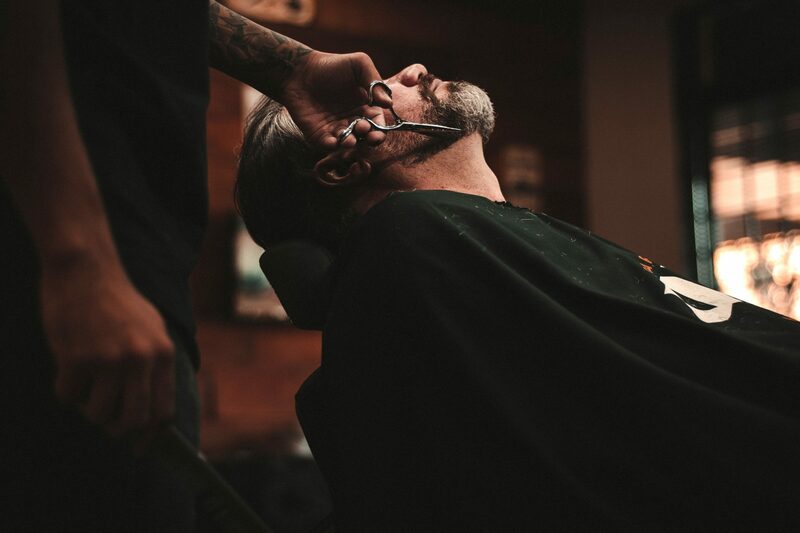 Once through the proverbial doors, the Mandarin Barber’s dedicated team — with decades of experience between them — offers a range of urbane grooming treatments. 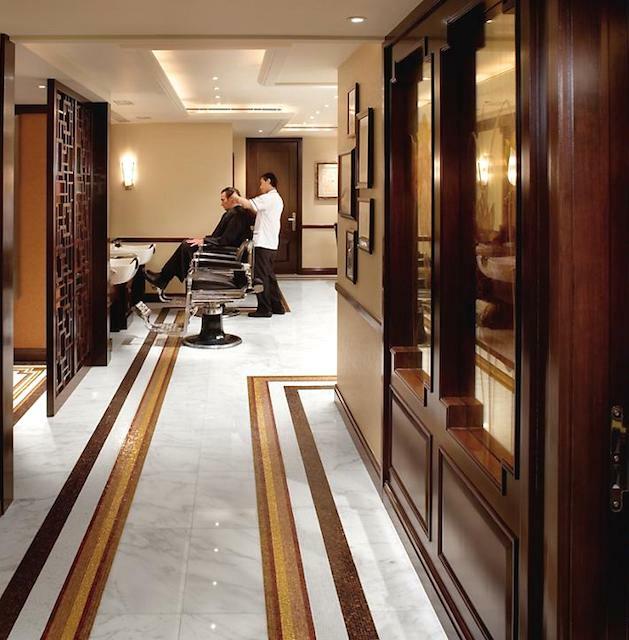 For a head-to-toe trim, follow up a haircut with the signature Shanghainese pedicure: a procedure involving the highly skilled deployment of knives which are used to shave off calluses, trim toenails and leave the feet feeling painless and refreshed. 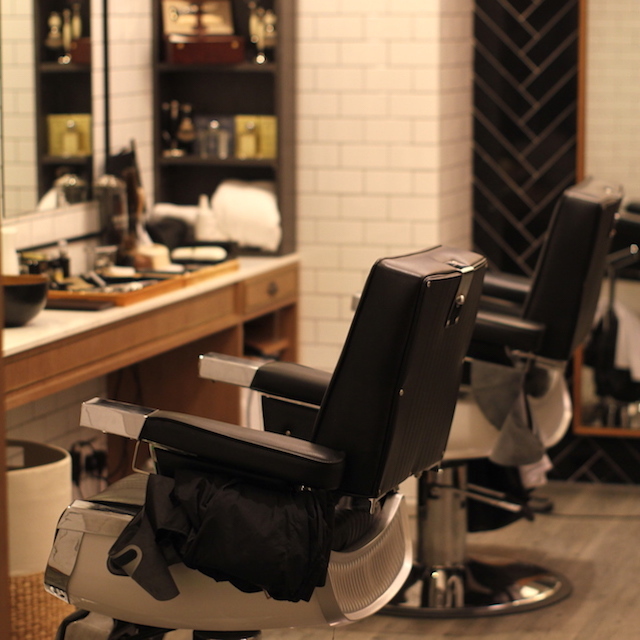 Conceived with the assistance of ex-UBS buccaneer Sangyoon Lee (of HERR Seoul fame) and cleverly hidden away in a men’s retail premises, the Attire House barbershop is a cosy grooming space for the discerning. Staffed by Seoul veterans Pam Min & Roy Jeong, the experience here hews closely to home base. Pam and Roy specialise in a diligent and unhurried style of barbering: emphasising the consultative phase that frequently goes overlooked in contemporary grooming. Styling products come courtesy of JS Sloane (a New York-based brand which makes everything in-house) while delightfully scented shaving lathers are sourced from Taylor of Old Bond Street. Helmed by Roger Ryan (formerly of Era Barbers), Selvedge is a relaxed and conveniently situated establishment where men can enjoy the understated pleasures of professional grooming. The industrial space (located on picturesque Pottinger Street) is all exposed brickwork and high ceilings; but it’s the team of industry veterans that’s likely to catch your attention. Offering traditional services (e.g. cutthroat wet shaves) with a “contemporary twist”, Selvedge’s greatest strength is its diversity: a team of international barbers work out of the space, all of whom bring their unique cutting style — honed everywhere from Australia to Poland — to Hong Kong. For those keen to support their local whilst working rockabilly grooming into the mix, Hairhouse has you covered. 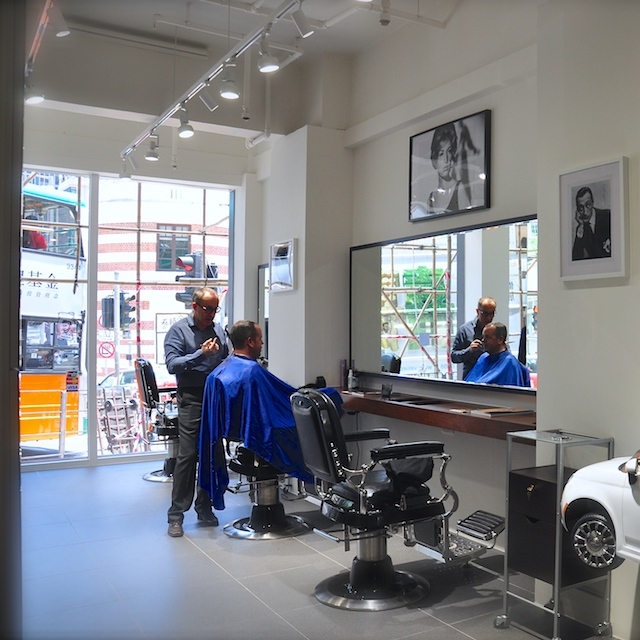 Adam Chan’s classic barbering concept — now with locations in LKF and Sau Wa Fong — has been cutting Hong Kong’s fashionable young men since 2013. 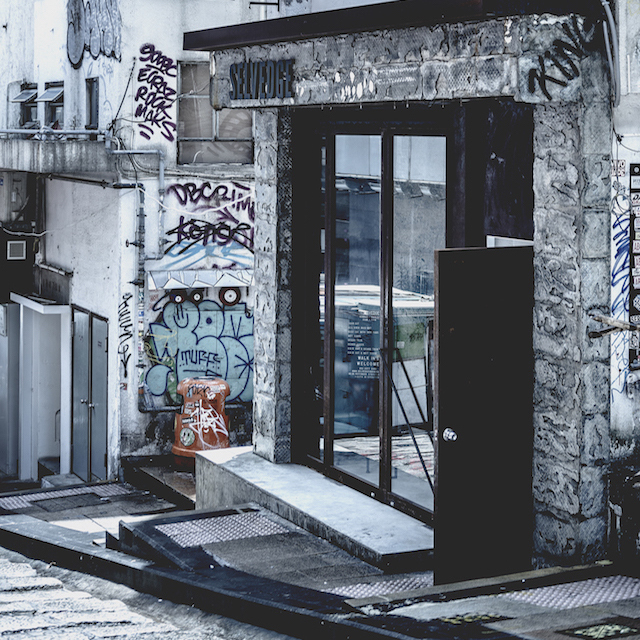 The Hairhouse outposts themselves are assured extensions of their founder and namesake: an anarchic mixture of punk, blues and Cantonese iconography. Chan’s establishment ranks among the most competitively priced on Hong Kong Island (cuts start at $320): a favourable sticking point that’s sweetened by his penchant for passing round the whisky. How can anyone refuse a dram of Octomore 8.1 to accompany their shape-and-fade? We know we can’t. This modestly appointed space on Wyndham Street — decorated with the visages of Italian icons ranging from Loren to Mastroianni — marks head barber Mauro Manocchio’s first foray into local business. Originally from Naples, Manocchio began training as a barber at the age of 13: a lifelong journey that would propel him through some of Western Europe’s most renowned hairdressing academies including Framesi and Wella. Though Antica Barberia welcomes a unisex clientele — unsurprising, given Manocchio’s training — the experience is thoroughly traditional. Insofar as the gents are concerned, that means full head wet shaves and beard maintenance done with nothing but an expertly held pair of scissors. Bellissimo! How does La Prairie's White Caviar collection decipher the secret to luminous skin?